Publishing at the Journal since 2013 / Volume 59. 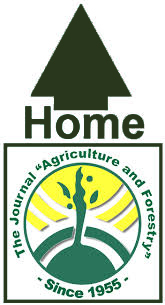 Editorial board of the Journal "Agriculture and Forestry"
The Scientific Committee is formed by a group of national and international specialists with a great research prestige and they develop their research work within the thematic of the Journal. 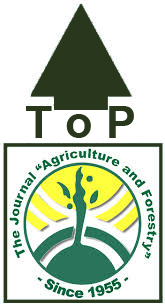 The composition is adequate to the quality and plurality criteria of the Journal. 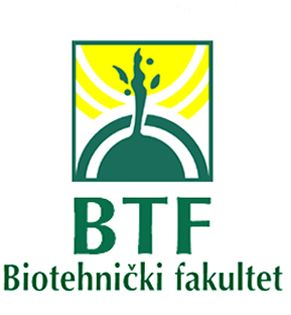 In 2013 the following colleagues are working within the Scientific Committee: Velibor SPALEVIC, Editor-in-Chief; Miomir JOVANOVIC, Co-editor of the Journal; Milic CUROVIC, Co-editor of the Journal; Igor PAJOVIC, Co-editor of the Journal; Aleksandar JOKSIMOVIC, Institute for Marine Biology, Kotor (MNE); Branislav PERIC, Mycologia Montenegrina, Podgorica (MNE); Che Fauziah ISHAK, Faculty of Agriculture, Universiti Putra Malaysia (MYS); Cristiano LONGO, Free lance (ITA); Danijela RAICEVIC, Biotechnical Faculty, Podgorica, (MNE); Djina BOZOVIC, Biotechnical Faculty, Podgorica (MNE); Dragan RADANOVIC, Delegation of the European Union to Montenegro (MNE); Dragutin DJUKIC, Faculty of Agriculture, Cacak (SRB); Dusan KOVACEVIC, Faculty of Agriculture, Belgrade (SRB); Dusan PETRIC, Faculty of Agriculture, Novi Sad (SRB); Dusan RADIVOJEVIC, Faculty of Agriculture, Belgrade (SRB); Elazar FALLIK, The Hebrew University of Jerusalem (ISR); Emil ERJAVEC, Department for Animal Science at the University of Ljubljana (SLO); Ferdinand REGNER, HBLA und BA Klosterneuburg (AUT); Fuad CATOVIC, Agro Mediterranean Faculty, Mostar (BIH); Gordan KARAMAN, Montenegrin Academy of Sciences and Arts, Podgorica (MNE); Gordana DJUROVIC, Faculty of Economy, University of Montenegro (MNE); Guangyu SUN, Plant Protection College of Northwest A&F University (CHN); Hamid CUSTOVIC, Faculty of Agricultural and Food Sciences, Sarajevo (BIH); Hubert HASENAUER, University of Natural Resources and Life Sciences, Vienna (AUT); Ignacio Diaz-Maroto, University of Santiago de Compostela (ESP); Ivan SIMUNIC, University of Zagreb, Faculty of Agriculture (CRO); Jasmina HAVRANEK, University of Zagreb, Faculty of Agriculture (CRO); Jelena LATINOVIC, Biotechnical Faculty, Podgorica (MNE); Klaus MEYN (DEU); Lydia PEREVEDENTSEVA, Perm State National Research University (RUS); Mico OLJACA, Faculty of Agriculture, Belgrade (SRB); Mihailo NIKOLIĆ, Faculty of Agriculture, Belgrade (SRB); Milan MEDAREVIC, Faculty of Forestry, Belgrade (MNE); Mirko KNEZEVIC, Biotechnical Faculty, Podgorica (MNE); Mladen PERAZIC, Chamber of Economy of Montenegro (MNE); Mohsen JANMOHAMMADI, Faculty of Agriculture University of Maragheh (IRN); Nagila SECUNDINO, Fundação Oswaldo Cruz / FIOCRUZ-MG, (BRA); Naldo ANSELMI, University of Tuscia, Viterbo (ITA); Naser SABAGHNIA, Faculty of Agriculture University of Maragheh (IRN); Natalija PEROVIC, Biotechnical Faculty, Podgorica (MNE); Natasa MIRECKI, Biotechnical Faculty, Podgorica (MNE); Nedo VRGOC, Institute of Oceanography and Fisheries, Split (CRO); Nesreen AHMED SABRY, Faculty of Agriculture, Ain Shams University (EGY); Nevenka DJUROVIC, Faculty of Agriculture, University of Belgrade (SRB); Ordan CHUKALIEV, Ss Cyril and Methodius, Skopje (MKD); Paraskevi LONDRA, Agricultural University of Athens (GRE); Radisav DUBLJEVIC, Biotechnical Faculty, Podgorica (MNE); Radmila PAJOVIC, Biotechnical Faculty, Podgorica (MNE); Reinhard EDER, Höhere Bundeslehranstalt und Bundesamt für Wein (AUT); Sanja RADONJIC, Biotechnical Faculty, Podgorica (MNE); Slavko MIRECKI, Biotechnical Faculty, Podgorica (MNE); Slobodan REGNER, Free lance (SRB); Sreten MANDIC, Institute for Marine Biology, Kotor (MNE); Syed Atif SHAUKAT, Bangion, Poonch Azad Kashmir (PAK); Vera POPOVIC, Institute of field and vegetable crops, Novi Sad (SRB); Vjekoslav TANASKOVIK, Ss Cyril and Methodius, Skopje (MKD); Vojislav TRKULJA, Agricultural faculty – Banja Luka, University of Banja Luka, (BIH); Zeljko DOLIJANOVIC, Faculty of Agriculture, Belgrade (SRB); Zhiyong MA, Shanghai Veterinary Research Inst., Chinese Academy of Agricultural Sciences (CHN); Zlatan SARIC, Faculty of Agriculture and Food Science, University of Sarajevo (BIH); Zoran JOVOVIC, Biotechnical Faculty, Podgorica (SRB); Zoran KESEROVIC, Faculty of Agriculture, Novi Sad (SRB); Zorica VASILJEVIĆ, University of Belgrade - Faculty of Agriculture (SRB). Radmila PAJOVIĆ, Aleksandra DESPOTOVIĆ, Milić ČUROVIĆ. Zhiyong MA (CHN), Zvonimir BOŽINOVIĆ (MKD). 67 days, 19 hours, 33 minutes.